Sometimes this building is pink, sometimes it is white. I only just realized that it is pearlescent! Natch, since Mikimoto is the cultured pearl company. In the early 80s there was a fad of pearlescent painted cars, usually Golf GTis with body kits. Even trucks and coaches were in on the act though. This is the only pearlescent building of which I am aware. 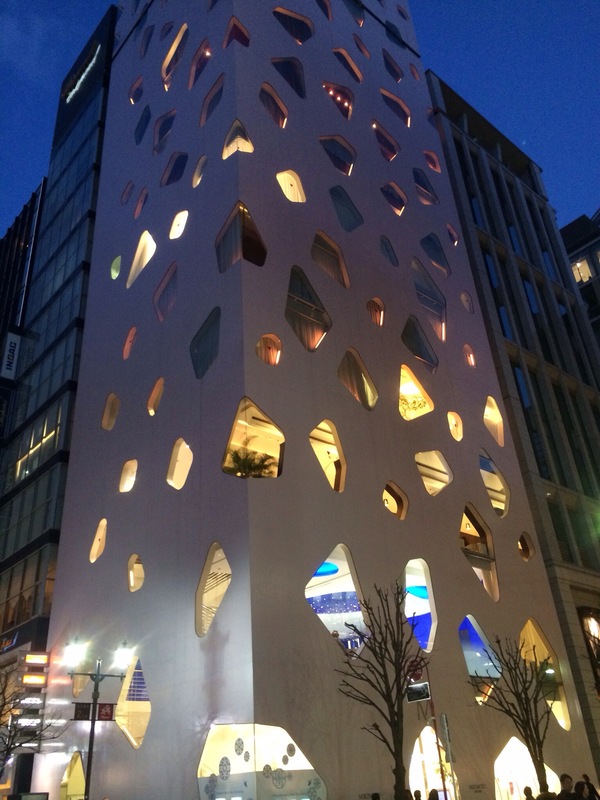 Upstairs, on the 8th and 9th floors, is Dazzle, probably the best contemporary European style restaurant in Tokyo. Dazzle actually occupies floors 8-10, I believe, with floor 9 being double-height. 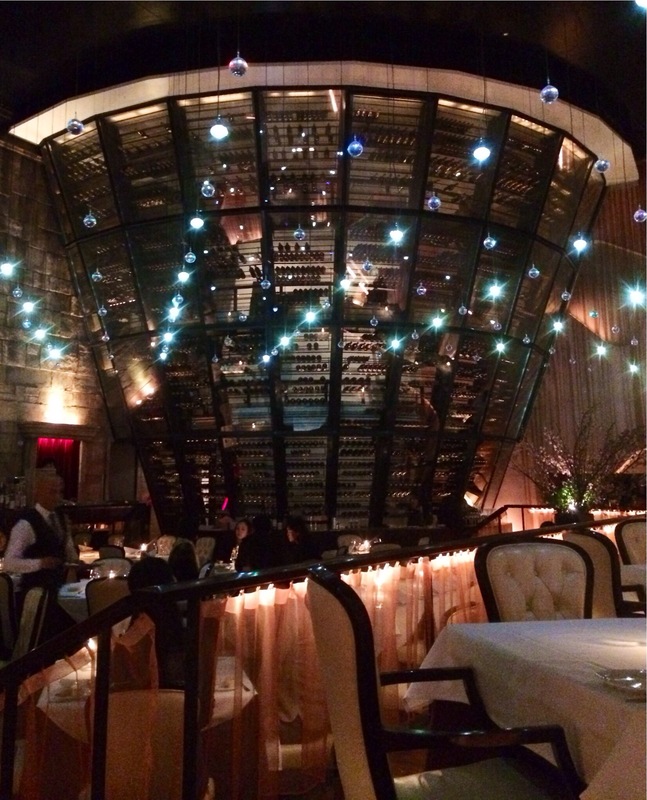 The ceiling is hung with Swarovski crystal balls and lights: originally there were twice as many, but is was too dazzling! Originally, the space was laid out for a Chinese restaurant, but the deal fell through, so the Dazzle team snapped it up. The food, service and ambience are outstanding, without the eye-watering Ginza prices. 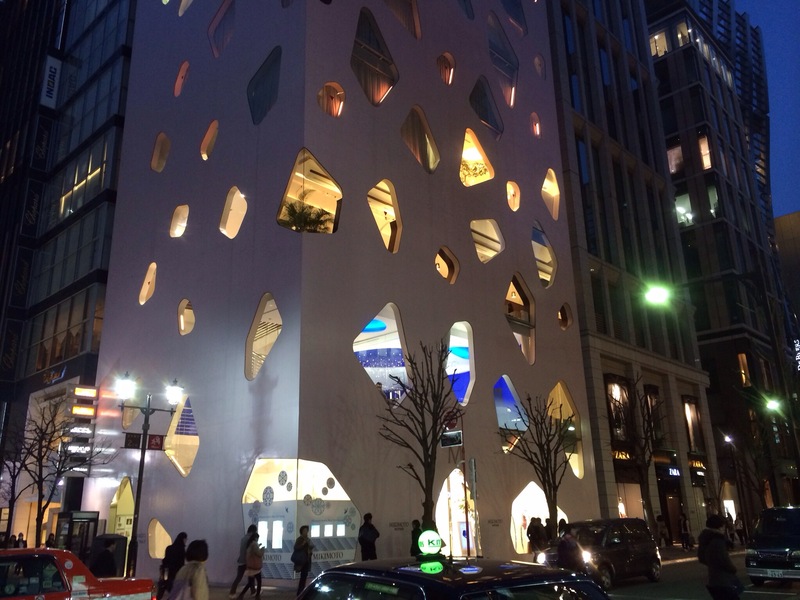 This entry was posted in Architecture, Japan, Pics, Random and tagged Dazzle, Ginza, Japan, Mikimoto, Tokyo. Bookmark the permalink.